One of the most common causes of a leaking pipe is plugging, which is caused by build-up from mineral deposits, foreign objects or grime. These lead to blockages and eventual leaking of the pipes. When enough pressure builds, the pipes can burst, and the problems compound from there. Calling Anytime Restoration for regular maintenance will decrease your changes of build up and leaking pipes. If you do discover a leaking pipe, give us a call at (612) 254-9542 immediately, so we can help prevent the pipe from bursting. The amount of water lost from leaking pipes could be over 100 gallons. And too often, you won’t notice anything has happened until a bulge starts to appear in the ceiling or floor, or after water starts to flood. Helping homes and businesses for over 28 years, Anytime Restoration has the experience and the equipment needed to get you back to normal ASAP. We use the five key pieces of equipment when your pipes burst: the expander head, pulling rods, a pulling machine, a retaining device, and a hydraulic power pack. 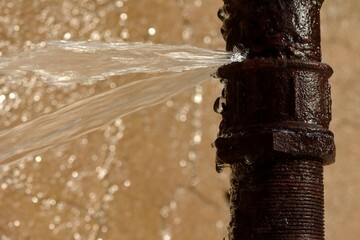 How Will Anytime Restoration Help with Broken or Leaking Pipes? Burst pipes should not be taken lightly. It can cause major problems to your home or business, including water damage or loss of water. Don’t wait. Call (612) 254-9542 for FAST response.